Are you thinking about buying a home? That's awesome! While it can be nervewracking, especially if you’re a first-time home buyer, this is also a very exciting time for you. Many believe that owning a home is the American dream! While you probably have many questions regarding this purchase since it will probably the biggest purchase of your life, but you're probably wondering where to start. 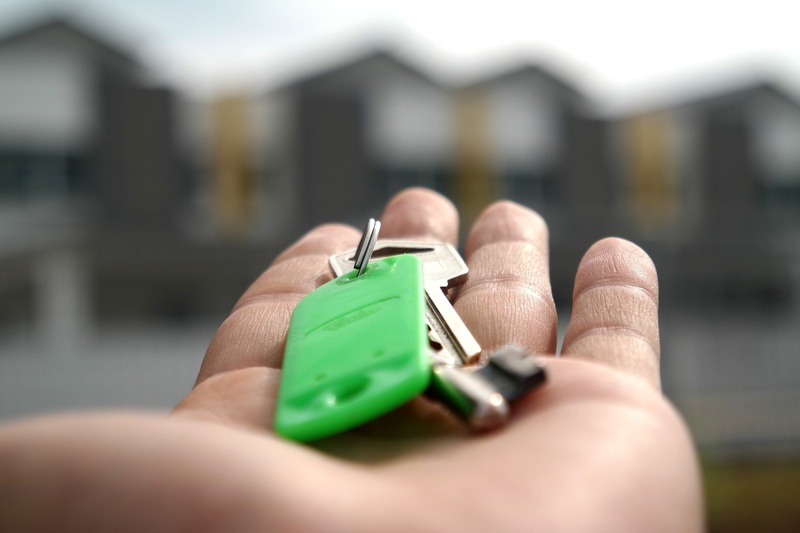 To make the first-time home buying journey a little less stressful, I have compiled these 10 tips to help you navigate the process more smoothly. 1. Get Pre-Approved. Before you start scheduling homes to tour and putting in offers, make sure you get a pre-approval letter from a lending company. 3. Save for your down payment. There are many different home loan options, and our preferred lending company Guarantee Rate Affinity will be more than happy to discuss all the options with you. If you plan to go with an FHA loan, then you'll only need 3.5% down, conventional loans require at least 5% down. It is possible to get into a home without a 20% down payment, but the more you put down, the lower your monthly payment. Also keep in mind, that without 20% down payment, you'll be paying extra for PMI. 4. Don't forget about closing cost. Your down payment isn't the only thing you need to purchase a home. When you get to the closing table and you're signing papers for the new home, there are additional fees you need to prepared for. When you're looking at homes, I suggest to download a free app from a local title company to get an idea of much you're title fees will be. 5. Research the neighborhoods. When you find a home you like, take the time to really look at what all is available in the area. Will your kids be in a good school, how close is the nearest grocery store, how far will you need to travel to find restaurants. Think about your wants and needs in the area surrounding home, this will not only help you decide if the home will be somewhere you want to stay long-term, but it could also affect the resale value. 6. Let go of the decor. When you're touring a home, don't pay so much attention to all the cosmetics that it turns you off on a home. Paint color, flooring and wall paper can all be changed. Focus on the flow of the home and how much, if any, repair work will need to take place. 7. Get a home inspection. This is the single more important thing you can do prior to purchasing a home. This helps to cut down on any surprises that may arise after moving in. While not everything may be caught in a inspection, things to look out for include water damage, foundation issues, mold and rodent/insect issues like termites. 8. Create a wish list. Take the time to sit and figure out what you want in a home and in a neighborhood, this may turn you on or off to areas that you're considering. While there may be compromises during your home search, this wish list will help you stay focused on what you really want. 9. Don't get discouraged. While you're on this journey of purchasing your first home, keep in mind that there may be several homes you have to put offers in on before one is accepted. Don't get frustrated, the market is on fire right now, and many homes are getting multiple offers within hours of going active. Don't get upset, just remember that the right home will come along at the right price and it'll "fall into your lap." 10. Hire an Agent. While this is always encouraged, you may not understand why. As a real estate agent, I have a duty to represent you to the best of my abilities. I will negotiate on your behalf and make sure your needs are met. I will also guide you the best way I know possible and work with you to find the right now at the right price. So if you're thinking about purchasing a home, whether it's your first home or your fifth, be sure to reach out to me. I would love to help you find your perfect piece of paradise here in Possum Kingdom.